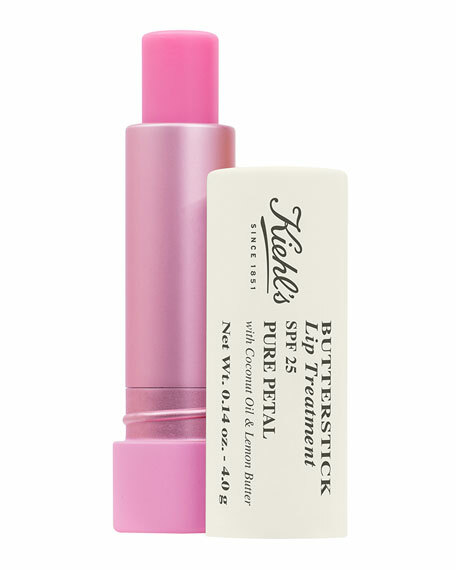 Kiehl's Butterstick Lip Treatment is supremely hydrating and smoothing balm with a nourishing blend of oils and butters. Our formula, with Coconut Oil instantly melts onto lips, providing a cushion of soothing moisture. 20% FAIRLY TRADE COCONUT OIL  Known as the "tree of life", Coconut Oil has been used in Ayurvedic medicine for over 4000 years. Nourishing oil rich in fatty acids hydrates and softens. LEMON BUTTER  Extracted from the peel of a lemon, this natural butter is rich in antioxidants. For in-store inquiries, use sku #2162525.